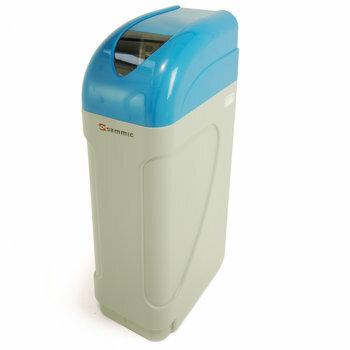 B-5: Model with 1 brewing system and 2 containers of 5 litres. 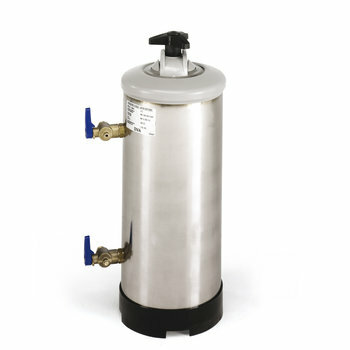 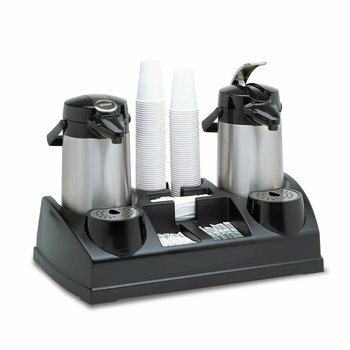 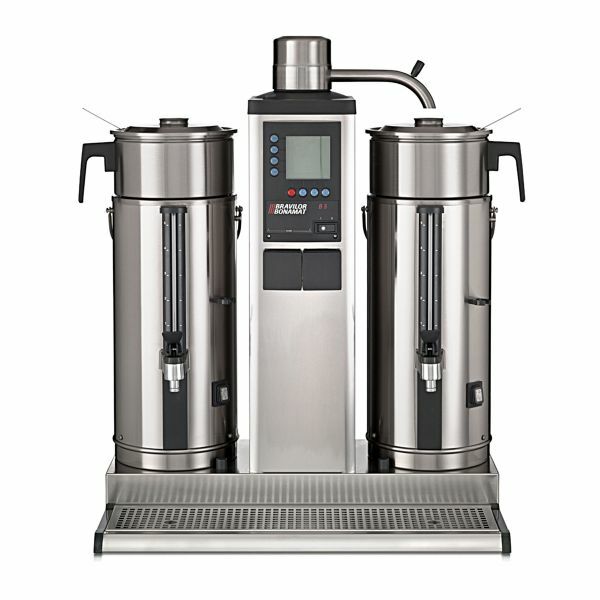 B-5A: Model with 1 brewing system with separate hot water tap and 2 containers of 5 litres. 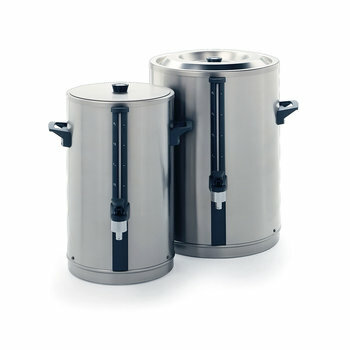 Two containers of 5 litres with electrical heating, level tube and non-drip tap. 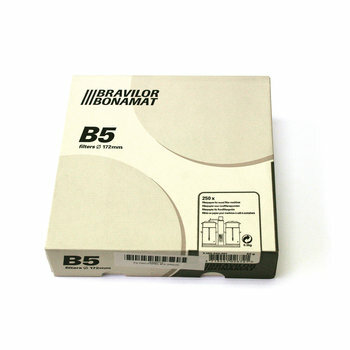 Flat paper filter for B-5 250 units.